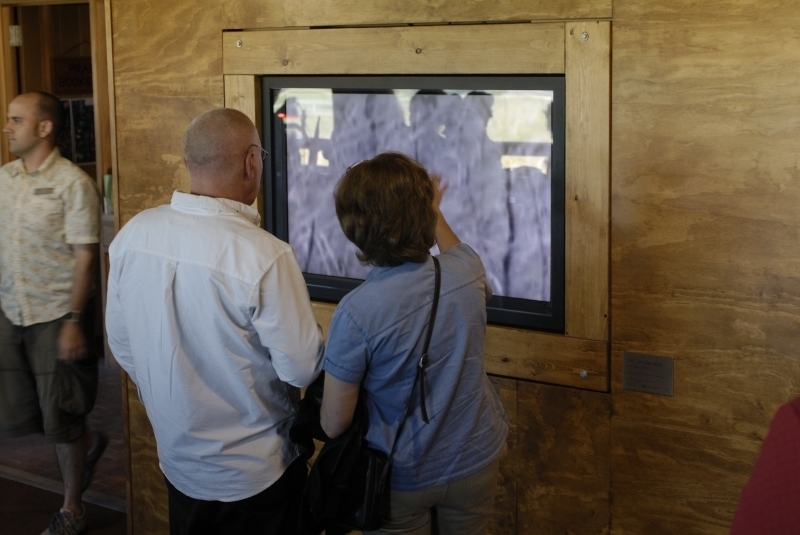 Collin Zipp created this interactive video work through the Artist-in-Residence program of the Public Art Program. Designed to integrate artists and their ideas into City facilities, the program allows for exploration of fascinating sites and resources. Collin spent one year at the Living Prairie Museum, a 12 hectare (30 acre) tall grass prairie preserve located inside the City of Winnipeg. Set aside in 1968, this preserve is home to over 160 species of prairie plants and a great array of prairie wildlife. Prior to European settlement, tall grass prairie covered one million square kilometres in central North America, stretching from Texas to southern Manitoba. Today, tall grass prairie is all but gone. In Manitoba only 1/20th of 1% of the original tall grass prairie remains. 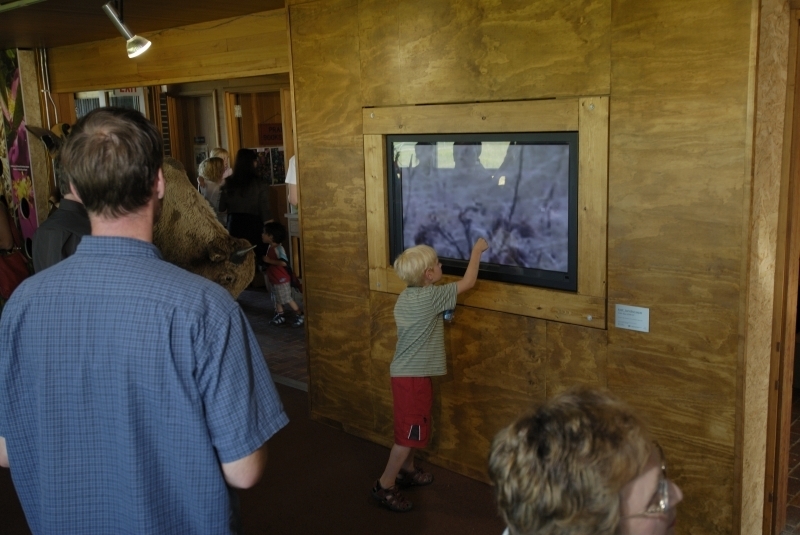 The Living Prairie Museum is one of the few remaining fragments of this once vast ecosystem. 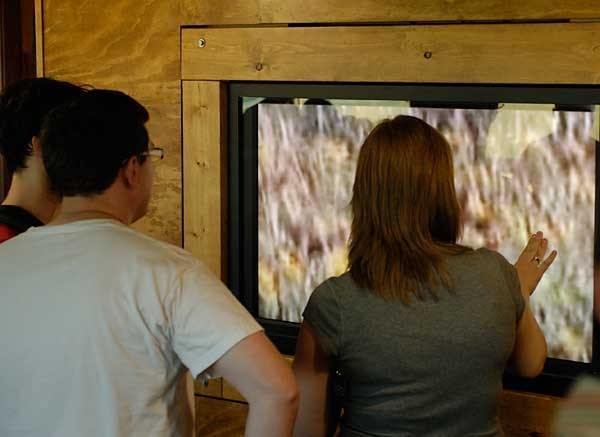 While in residence at the Museum, Collin videotaped the prairie in various seasons and conditions and created forty-two video works that express his particular perspective of the landscape. This non-linear narrative reflects the rich prairie landscape through abstracted images of its flora and fauna. 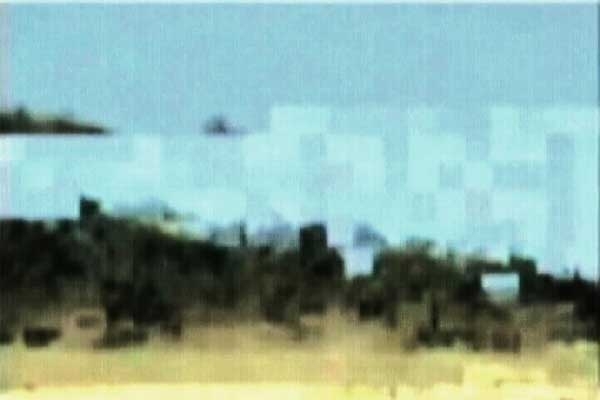 Zipp distorts the video footage by intentionally burning or scratching it before rerecording the imagery into a computer to be edited and sequenced. 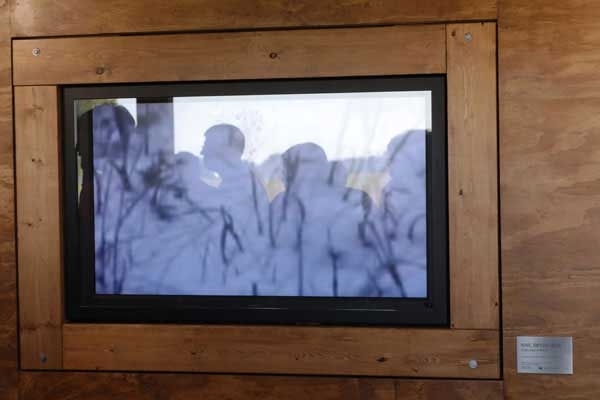 Collin’s work has been described as “moving, abstract paintings.” In addition to the creation of the artwork, Zipp worked with members of the community including children, youth and university students during his residency.The final product, a looping video installed on permanent display at the Living Prairie Museum, is interactive in that the viewer can touch faint squares at the top, bottom and either side central in the screen to be taken through the different videos that Collin created. 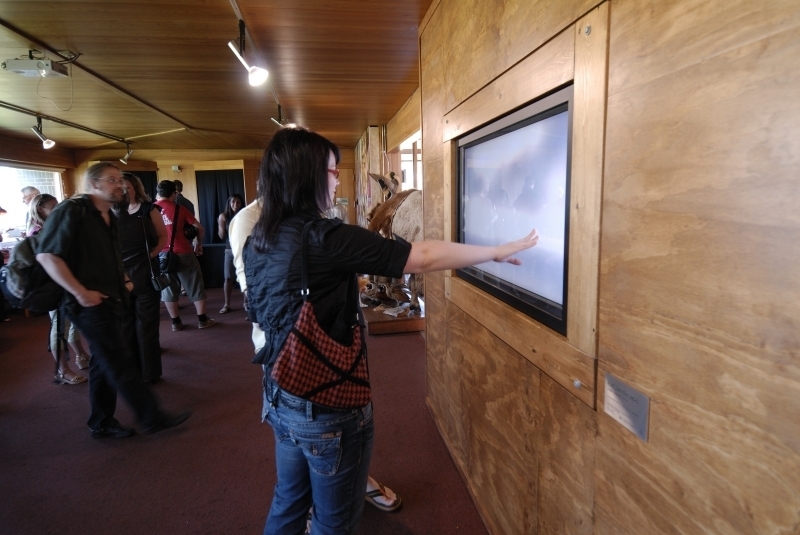 Please note that the Museum facility building is accessible by appointment only from September to May. Collin Zipp is a multidisciplinary video/digital artist who obtained his BFA from the University of Manitoba’s School of Art. His video work uses various experimental techniques to explore human perception and memory. Raw video footage is manipulated, and imperfections in the data caused by the technology are utilized to make the medium more self-evident; and create a lo-fi aesthetic. "The imagery within my work results as direct responses to my surrounding environments; I am interested in the ways in which technology can change our natural environments. I am exploring these notions by physically manipulating digital video imagery. 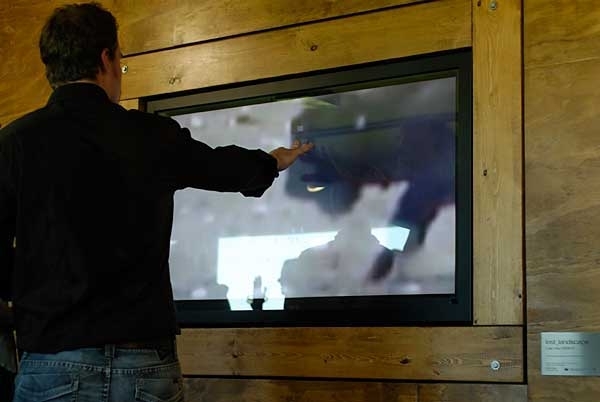 I investigate the notion that digital video is an invulnerable form of recording; immune to the information loss and physical degradation of analog. The physical forces I inflict upon the footage transforms the original video and alters its' perception which in turn alters the perception of the environments/subjects within the videos. I hope to examine the fragility of the digital medium contrasted against the fragile state of our environments. I am also interested in exploring the medium of video as a recording device contrasted against the medium of film. As the structural filmmakers of the 60’s and 70’s studied the grain of the film itself to explore the illusion of reality which the moving image can dictate, I aim to explore the pixels and digital code within the data; examining the reality and physicality of the medium. I use the flaws inherent within the technology to comment on their place and context within our world in accordance with my personal observations."